This dish is a really good staple for a healthy mid week dinner. 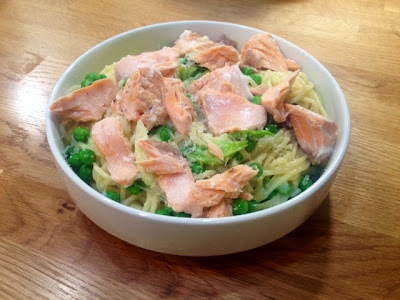 It’s really quick and easy to do and makes a great dinner for one as well as being easy to multiply to make enough for the whole family, it’s a great dish for kids. This dish is creamy, light and healthy whilst being filling enough to keep your bellies satisfied. The little hint of mustard doesn’t over power the dish, just boosts the flavour of the sauce. This is absolutely the kind of dinner I’d have regularly during a normal busy week. 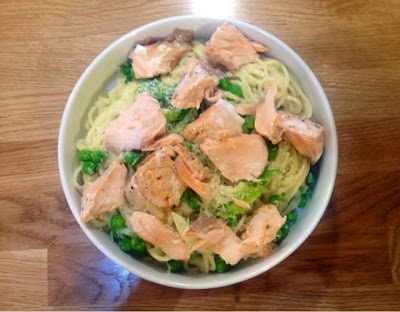 Salmon is widely available but plenty of other types of fish would work nicely here. I’d personally like to give it a go with a nice piece of smoked haddock. 2. 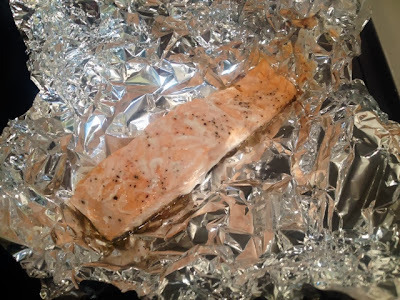 Place your salmon fillet in the centre of a square of foil and season with salt and pepper. 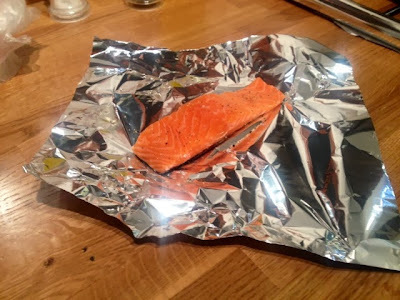 Fold the foil up around it and crimp the edges, sealing it into a parcel. Place on a baking tray and bake in the centre of the oven for 15-20 minutes or until cooked through. 3. Boil your spaghetti, following packet instructions, with a pinch of salt in the water. 4. Meanwhile fry the garlic, spring onions and peas in a little oil in a small pan on a medium heat. 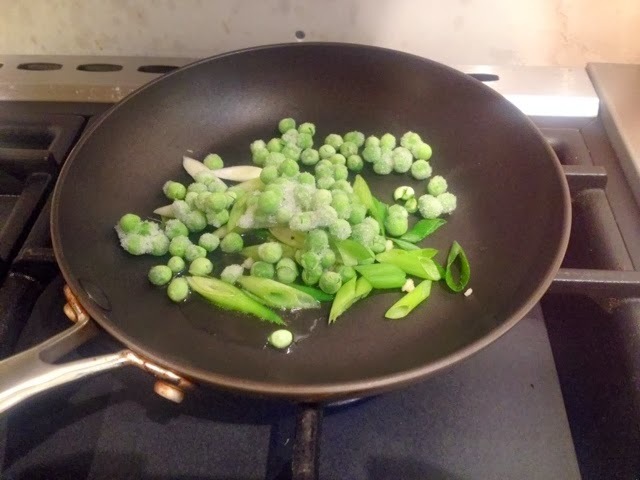 Fry for a couple of minutes until the onions and garlic have softened and the peas have defrosted. 5. In a jug beat together the egg, mustard and cream, seasoning with salt and pepper and added the chopped herbs. 6. When the spaghetti is cooked, drain, reserving a little of the pasta water. Pour in the egg mixture, ensuring all the pasta is coated. 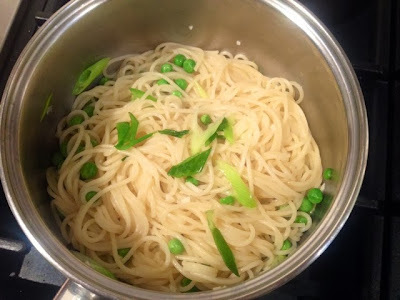 Don’t worry about the raw egg, the residual heat from the pasta is enough to cook it through. Add the greens from the frying pan and mix evenly through. 7. By now the salmon should be done. Remove from the oven and break into flakes. 8. 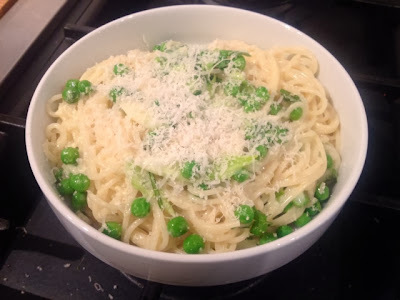 Transfer the spaghetti into a warmed bowl and top with grated parmesan. 9. 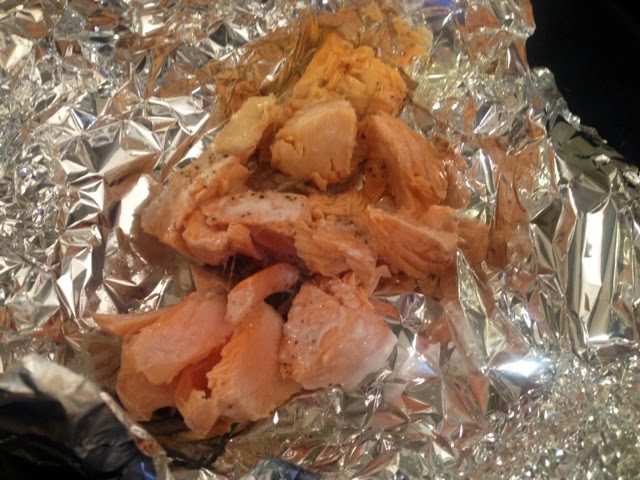 Add the flaked salmon and tuck in.